Suspect's car, with bullet holes in windshield. Photo by Rick Macomber. 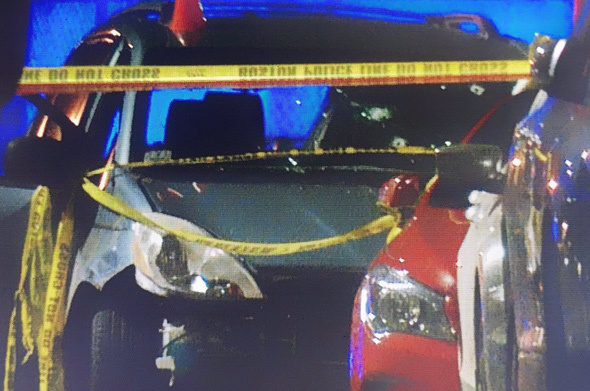 WCVB reports Boston Police say a traffic stop around 2:20 a.m. on Gerard Street, between Kemble and Allerton on the Roxbury side of Newmarket Square, ended with a man in the car opening fire on two officers, who returned fire. One of the officers was hit several times, but is expected to survive. The car sped off; but police found it a few blocks away, on George Street at Magazine, with the shooter, a man in his 30s, dead inside. The Suffolk County District Attorney's office will review the incident. The Herald reports ISD yesterday shut CubeSmart Self Storage at 968 Mass. Ave. after learning people were paying a couple hundred dollars a month to live in its storage cubes. Inspectors did not have far to travel: ISD's offices are three or four doors down at 1010 Mass. Ave.
At the intersection of Southampton Street and Massachusetts Avenue are two unusual round buildings. The smaller is the New Market Pizza and Grill, which is perhaps the most ornate pizza place in the city. And the other is a solid six-story brick hotel, formerly the Roundhouse Suites, now the Best Western Plus Boston Hotel. Read more. The Board of Appeals today approved Boston's fourth medical-marijuana dispensary at 50 Clapp St., off Massachusetts Avenue in Dorchester. Because of its location near the Methadone Mile, the proposed operator agreed to set a minimum purchase price of $40 to discourage any nearby addicts thinking of putting together enough money to buy a joint. Read more. A man sitting in a car on Proctor Street, around the corner from the Hen House, was shot shortly after midnight. KMV reports the homicide unit was called in due to the severity of his injuries. Around 11:20 p.m. outside 850 Mass. Ave. Injuries not considered life threatening. Boston Police report arresting a man they say stole a car at knifepoint early this morning only to crash it into another car a mile down Mass. Ave. Read more. WHDH and Beth Germano at WBZ report the roof at a one-story American Red Cross building on Proctor Street, off Mass. Ave., gave way this morning. WCVB reports a woman suffered life-threayening injuries after a woman with whom shed been fighting outside Victoria's Diner dragged her down Mass. 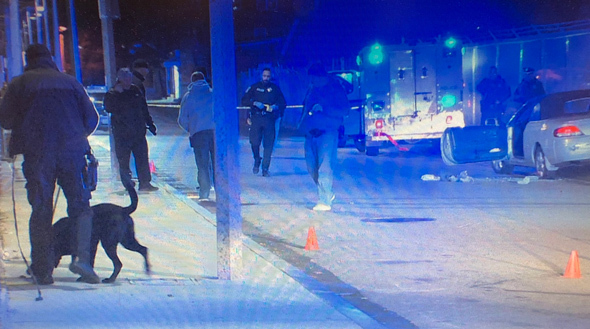 Ave. around 4 a.m.
NECN reports a person hit by an MBTA bus at Massachusetts Avenue and Theodore Glynn Way Thursday night has died. 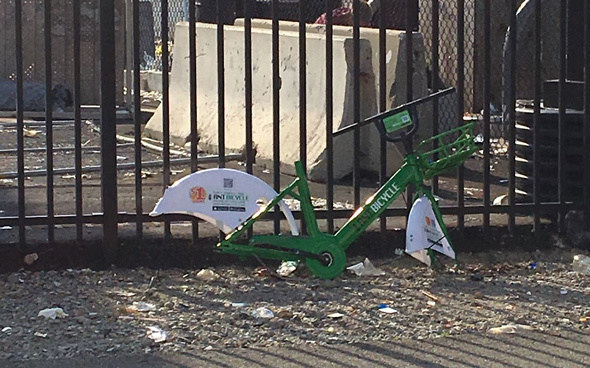 Around 1:40 p.m. at Melnea Cass Boulevard and Massachusetts Avenue, the Globe reports, adding he is expected to survive.